Discipline, without any doubt, is the master key for a good and healthy personal finances. That and a good tool to help you. I would like to recommend you all KMyMoney. Here I will explain my specific case. 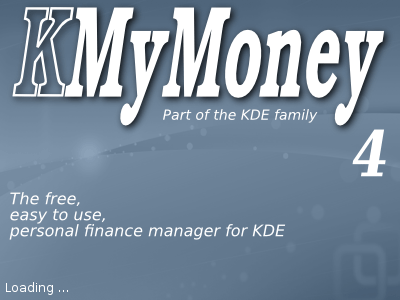 KMyMoney is an awesome tool that will let you know who, what, how much and when to pay. Not to mention it has good reporting tools. 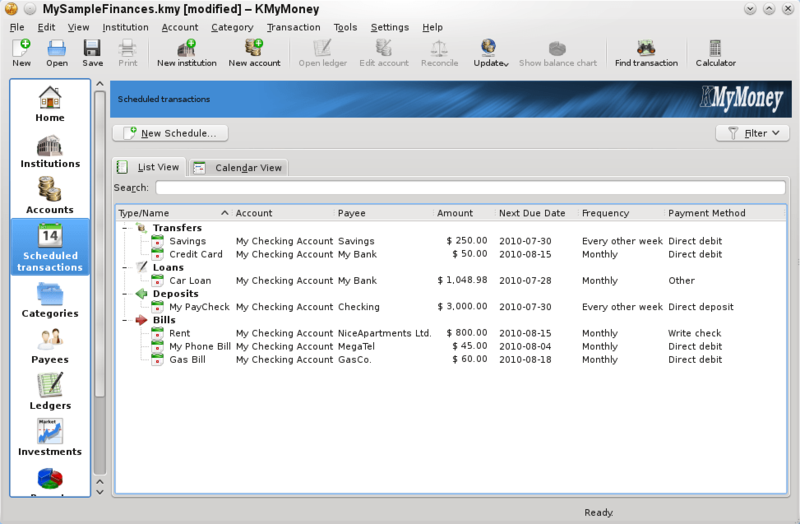 Thanks to this software, my greatest financial goal has been passing from a negative cash flow a positive one. To explain this, a negative cash flow is the one where you pay your vendors first and then you bill your customers which it cause a negative number because you spend money first before getting it; on the other hand, a positive cash flow is the one where you get money from customers first and later you pay your vendors. Please understand by vendors any kind of income (employ, customers, gifts) and for vendors any kind of outcome (bills, services, goods). One of the things I like the most on KMyMoney is the recurrent operation. You can enter your incomes and outcomes with some parameters (account, recurring period). For example you can input your salary, some regular payments from customers or, bank interests; as outcomes you can put services (gas, electricity, water, telephone, Internet), tuition, rent, food, bank chargest and many other. The software will show you what is the next operation in the queue, and you can see your projected active. Multi-currency support. You can set up accounts in different currencies, for example, I have money in my Paypal in USD, MXN, EUR and CAD. You can set up your default currency (commonly the currency of the place where you are) and the software will usee Yahoo Financial Services to do the maths. All reports are delivered in the default currency. Beneficiary support. When you are registering your movements in the system, you can type the Beneficiary (who are you paying to, or you are you getting money from). KMyMoney will use this information for reporting and to show you who are you paying the most or who is your best customer. Budgets. After a while of registering your expenses and incomes, you will be able to star doing your budgets. This way, you can assign 100 $ for movies monthly. System will show you if you are overpassing your budget. Reporting. With about 50 default reports and many other ways to customize them, I have not found something that I am not able to answer. Some of the most interesting reports are the expenses per category, Incomes versus Outcomes, Graphics of your values and many many others. If after reading this you feel like you want to try KMyMoney but you are not able to start doing it, you can contact me and we can discuss.